If there’s anything that we’ve learned since when then-Republican nominee Donald Trump defeated Hillary Clinton in the 2016 General Election, it’s that filmmakers, musicians,and athletes, absolutely despise our commander-in-chief. Not all of them hate President Trump, but it’s certainly most of them. In fact, it’s like a an exclusive club where the only rule – the cool thing to do – is to publicly disparage the 45th president. You see this across every part of the entertainment spectrum. And one anti-Trump rock star wanted all of the Super Bowl halftime performers to fall in line and take the disrespect towards our president and country to a whole new level. It’s been a couple of years, but you might remember when President Donald Trump said that NFL team owners should force their players to stand during the national anthem or not play the game at all. That occurred right before week three of the 2016- 2017 regular season and it backfired amongst players in the league. The amount of kneeling during the national anthem was unprecedented that weekend. Unfortunately, embattled former quarterback Colin Kaepernick still has a stranglehold on unpatriotic kneeling during the national anthem, even if only a handful of players still continue to do it. It actually resonates more now with musicians and other sports players like LeBron James who continue to advocate on Kaepernick’s behalf. Superstar rappers Jay-Z, Cardi B,and Rihanna, have all turned down the Super Bowl halftime show in solidarity with what they believed to be Kaepernick’s “blackballed” from the league. But that didn’t stop Maroon 5, rapper Travis Scott and Big Boi from accepting the coveted gig and liberals were furious that they did. 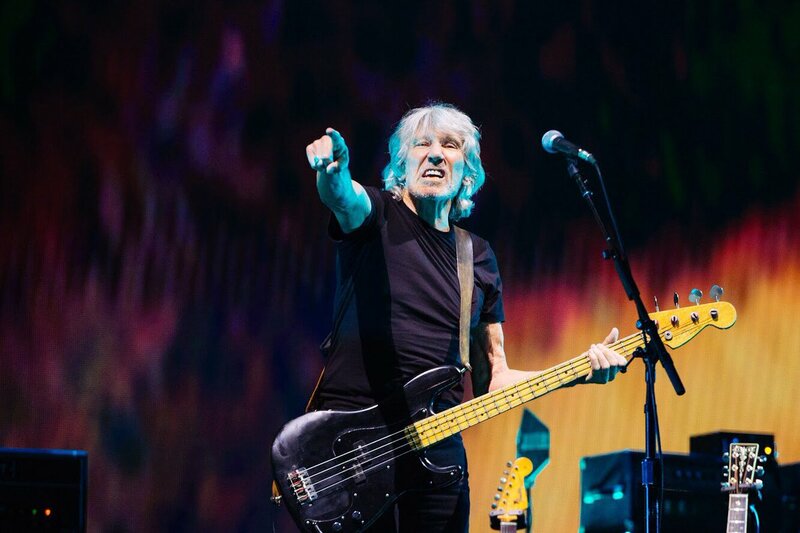 And just before the Super Bowl, anti-Trump rockstar, Roger Waters,co-founder of Pink Floyd, pleaded with the halftime performers to kneel like Kaepernick, during their performances with a blatant form of disrespect towards the NFL gave them the opportunity. Waters took to social media to say that he and his band kneeled in Hartford, Connecticut in solidarity with Kaepernick. Does he really think that Kaepernick is the greatest quarterback to ever play the game? He must not watch a lot of football because even the most casual fan can tell you that he is not even the top 50 quarterbacks of all-time. Luckily for Waters, none of them took a knee and totally ignored Waters’ request. Maroon 5, Travis Scott and Big Boi focused on their music instead of bringing any sort of attention to the controversial quarterback, even if the totality of the halftime show was rather weak. Adam Levine, lead singer of Maroon 5, was disturbingly low-energy and at the end of the halftime show, he bizarrely took his shirt off and revealed his tattoos to the world. If you perused on social media during or just after the halftime show, most people agreed it was one of the worst halftime show performances in the Super Bowl era. But at least they didn’t kneel. That was at least a silver lining.